Renowned for his iconic vision of Australian pastoral landscapes, Arthur Streeton produced few flower paintings in his early career. 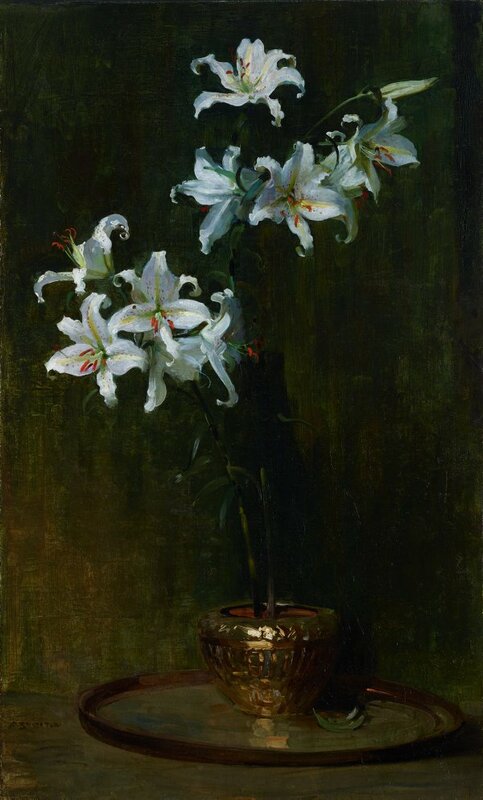 From 1920 onward, however, he painted numerous still life works depicting cut flowers, including 'Lilium Auratum', displaying his interest in the traditional artistic concerns of the genre. Streeton painted this still life over an earlier Gloucester Buckets landscape. Signed l.l., brown paint "A. STREETON". Not dated.